We discovered today that a half buried tire makes an awesome goat toy. Lamb Chop likes to jump from one to the other. 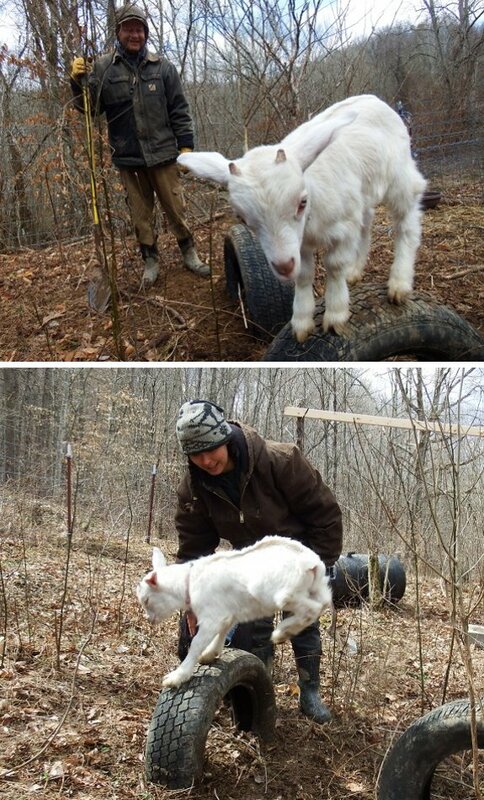 I'm so going to do this for our goats too! Great idea, y'all! the world needs more goat toys!